Flipkart affiliate is the Reward program from flipkart in which flipkart is giving money to the affiliates.When you promote flipkart on your network then flipkart will give you commission per lead. Best way to earn from flipkart affiliate program is to promote flipkart mobile app.Just refer your friends to download flipkart app and you can earn upto Rs 60 per successful referral.There are so many other app referral campaigns by which you can earn money,to learn more about those campaigns visit following links. 3. Register using your email address and password (which you want to use). 4. Enter relevant fields on next page i.e. your name, address, contact no. , website etc. and click on save changes. 5. Your account will be verified in one or two days. 6. After your account being verified you can start earning by flipkart affiliate program. 1. You can start earning your money By CPI (Cost per install) in This affiliate program. 2. Login to your flipkart affiliate page. 3. 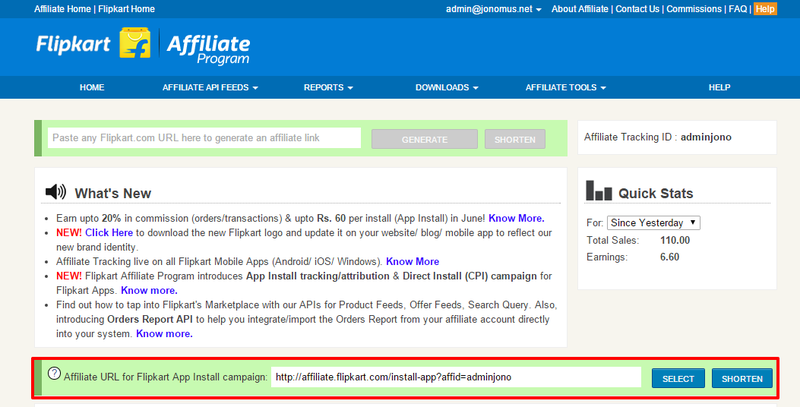 Now get your link from your flipkart affiliate build link for CPS through your affiliate panel. 4. Refer your friends using this link. 5. When someone downloads flipkart app from your link you will get the commission. 6. there are two types of commission you get from this program from flipkart. Fallback referral commission will be counted when someone go through your affiliate link and ends up in installing the flipkart app on mobile then it would be fallback commission or fallback app referral commission. It is generally more than the direct referral commission. 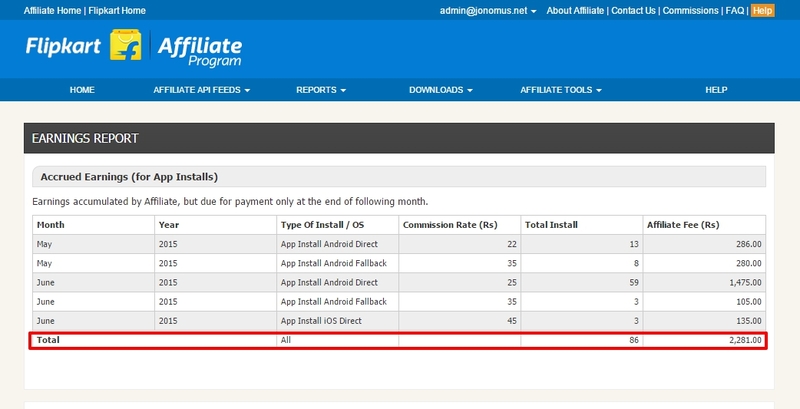 Anyone who installs directly from your affiliate link would fall in the direct referral commission. You can payout money from flipkart in two ways either in flipkart e-gift voucher or through EFT (Electronic Fund Transfer). Through EFT the money directly goes into your bank account whereas with flipkart e gift voucher you can buy anything from flipkart. EFT is only available if you had PAN (Permanent Account number) associated with tour affiliate id. otherwise if you don’t had an PAN then your payments would be done in Flipkart e-gift voucher. 162 Responses to "Flipkart affiliate Program to Earn Unlimited Real Money"
pending payment are those which are subjected to be verified at the merchant’s end. By youwave trick by unstalling it every time after each flipkart affiliate. bro my payment is approved on flipkart affiliate. but i have done shopping for myself only through the affiliate links. will i get paid?